Berghoff is the ultimate brand when it comes to Grilling and roasting baking and smoking. 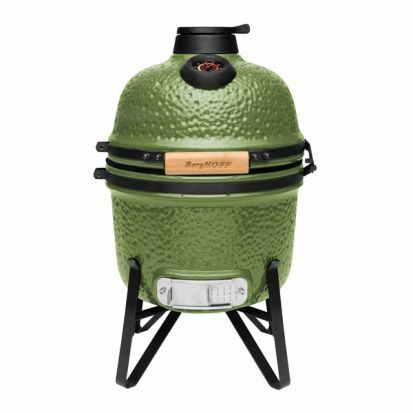 These ceramic OUTDOOR BBQ & OVEN offer all the options. Produceing high temperatures for searing roasting and grilling but also ideal for low-temperature smoking. The top ventilation cap allows to control the air with precision and there is also a thermometer on the lid to monitors the temperature inside for precise cooking and perfect results. Fired with lump charcoal or aromatic woods. High quality construction. Includes cooking grid, cast iron coal grate, cast iron top vent wheel, and carbon steel chassis 33cm.